Why would an agricultural scientist and cane farmer's wife make a dramatic career shift to open a wholefood café that eschews all processed sugar*? Nourish Café fronts the busy Earls Court Arcade, an art décor delight on Bundaberg's main street, which hums with Bundaberg's signature café scene every day of the week. The café is never quiet, with its prime sunny location in the CBD and healthy wholefoods on offer. Owner, Judy Plath, is passionate about living a healthy and fulfilling life. She is the proud mother of two beautiful children and is married to a third generation Childers cane farmer. The family, like many, have battled a series of health concerns including cancer, coeliac disease and a disability, and have found freedom in the preventative benefits of clean living, organic foods and emotional healing. It was this journey that led Judy to give up her career in agriculture and open Bundaberg's first healthy café! Nourish Café uses local produce as much as possible because years of working in agriculture, during her career as an agricultural scientist, has taught Judy to greatly respect and appreciate the amazing job that Aussie farmers do. Judy has long focussed on supporting her family's immune systems by removing environmental toxins and chemicals, highly processed foods, food additives and antagonistic foods and strives to lovingly create cuisine with her customers using pure, wholefood ingredients. Nourish Café's emphasis on organic wholefood means that nourishment isn't hard to find in Bundaberg, even in our time-poor modern lives. During Winterfeast 2018, Judy will share her tips on efficiently cooking nourishing meals for our families, because Judy knows finding time to cook healthy meals and snacks is the greatest challenge facing all Aussies, not just folks in Bundaberg. * Judy is quick to point out that sugarcane, her family's livelihood, in its natural unrefined state is rich in vitamins, minerals and amino acids and while the Plaths avoid the refined final product, you will often see her kids chewing on a stick of sugarcane on their farm! Where Can I Find Nourish Café this Winterfeast? Come uncover the secrets of buying and cooking local, nourishing wholefoods during a 'behind closed doors' shopping experience at Nana's Pantry, enjoying a barista made coffee and wholesome morning tea made by Judy. You can also find Nourish Café at the Bundy Flavours & Winterfeast Farmers Markets. 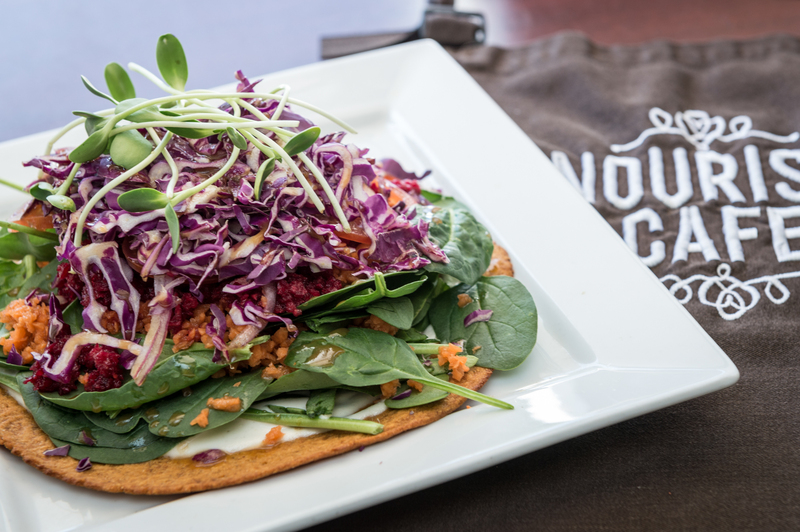 When Can I Eat at Nourish Café? Nourish Café is open 7am – 3.30pm Monday – Friday, 8:30am – 1pm Saturday and is closed on Sundays. They are located at 5/176 Bourbong St, Bundaberg, across the street from the main Post Office.